When learning how to grill there are a lot of right ways to do it along with a lot of wrong ways. You will find that people are very passionate about the way they grill and everyone else is wrong. Heck, just look at the comments on our youtube channel. We suggest you read, learn a little and then make it your own and do it your way. Grilling as defined by Wikipedia: Grilling is a form of cooking that involves direct heat. Devices that grill are called grills. 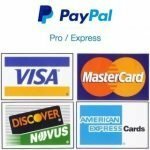 The definition varies widely by region and culture. 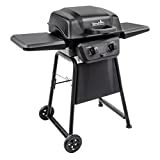 Just bought your first grill and do not know where to start? You have found the right article. Gas or propane. After your tank is hooked up and the tank valve is on turn on your grills gas valves on high. 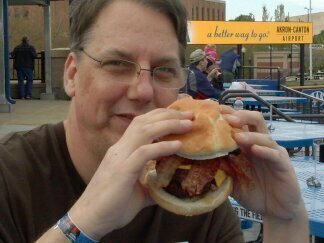 Count to 5 slowly and then press the grills ignitor button. It should start the first or second time every time this way. If your ignitor is shot. Use a long stem lighter to light it or you will sacrifice some arm hair or it can be lit with a match. Charcoal. We highly suggest use of a charcoal chimney to light your coals. Once they are lit with a chimney they stay lit. If you must use lighter fluid use a minimal amount. 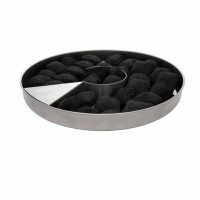 Create a charcoal pyramid out of your coals and concentrate the fluid on two or three coals on opposite sides, light those coals. Allow enough time for the fire to catch the rest of the pile, and the fluid to burn off before adding your food. If you don’t have a charcoal chimney there are ways to do this without lighter fluid. 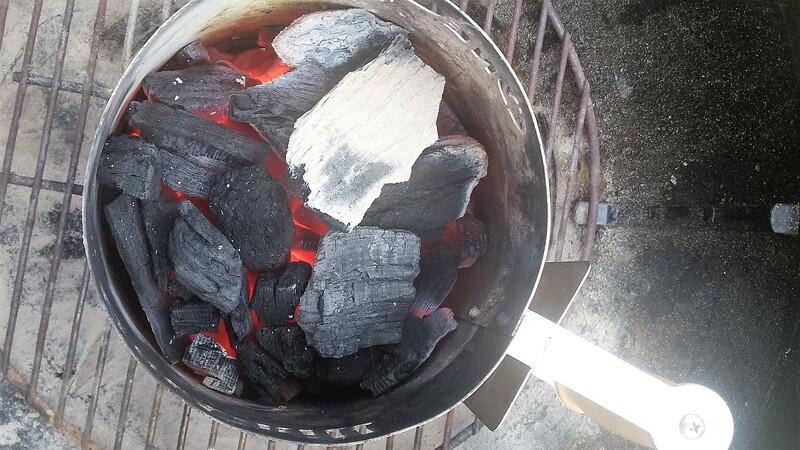 It does not matter if you are using charcoal or gas. Anytime you light your grill you should always have multiple heats zones. On a gas grill this is easily accomplished by setting one burner on high one on medium and having one-off entirely. 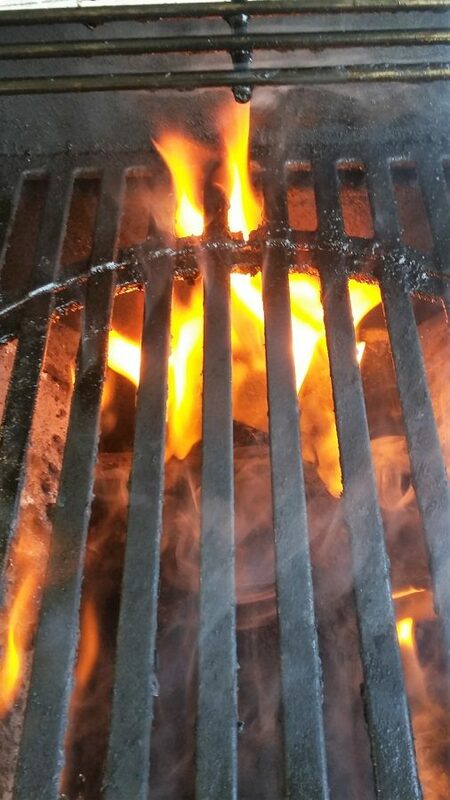 With charcoal: pile most of your coals to one side of the grill with them tapering down and having one section coal free. The hot side of the fire for searing the meat The medium heat zone is for cooking it more thoroughly. The cool section is for moving food that is cooking more quickly than the rest, or as a safety zone for flare-ups. Always allow your grill to get hot before placing your food onto your grates. This will typically take between 5 and 10 minutes. 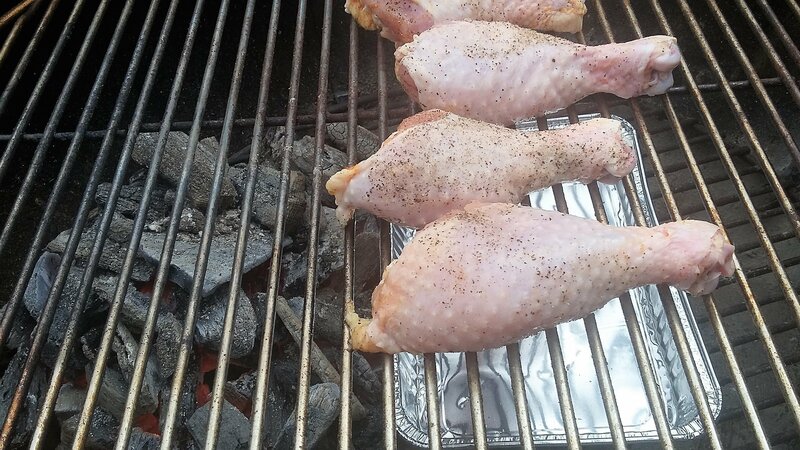 The grill grates need to be hot so that you can get those great grill marks. Most of the food you cook on your grill will be cooked using a direct heat. What this means is that the food is placed directly over the flames. As a general rule of thumb, you want to start your food out over high heat to sear it then move it away from the flames to finish the cooking process. If you grill with your hood closed you can hear any flare ups if you listen for the sizzle. If a flare up occurs, move your food away from the flames until it burns itself out, do not squirt water on it. Indirect grilling is typically used for larger pieces of meat, this is similar to roasting in an oven. You have the fire off to the sides of your grill leaving the middle of the grill open. You place your meat typically over a drip pan in the center where there is no fire. Fortunately when grilling there are a lot of right ways to do it along with a lot of wrong ways. You will find that people are very passionate about the way they do it and everyone else is wrong. Heck, just look at the comments on our youtube channel.